New York-based CohnReznick LLP (FY15 net revenue of $575 million) has appointed Ken Baggett, co-CEO, as its first chairman of the board and elected Kevin Clancy, Risa Lavine and Ira Weinstein to serve as members of the Executive Board. Baggett will begin his role as chairman on Oct. 1, when he and Tom Marino step down as co-CEOs. Frank Longobardi will become the firm’s new CEO at that time. 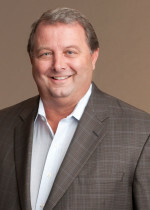 Baggett has served as co-CEO of CohnReznick for three years, since the firm was formed out of the J.H. Cohn and Reznick Group combination. Prior to that, he served as managing principal of Reznick Group for 10 years. In addition to his chairman duties, Baggett will be significantly more active in the firm’s affordable housing practice, assisting clients with opportunities and being more involved in the professional organizations that support the affordable housing community. He has extensive experience in providing structuring advice to developers, builders, syndicators, investment banks, corporate investors and housing finance agencies. In addition, Baggett will be actively involved in Nexia International, the firm’s international network, focusing on building relationships and issues of critical importance to clients’ global interests. Finally, he will be working with his long-standing network of professional contacts to further the firm’s M&A pursuits in strategic markets. Clancy is a partner and national director of CohnReznick advisory group’s restructuring and litigation advisory practices. In this role, he provides financial advisory and litigation support services specializing in the areas of bankruptcy, debt restructuring, and investigative and forensic accounting. He is also OMP of the firm’s Edison, N.J., office. Clancy was previously a member of J.H. Cohn’s Management Committee prior to the formation of CohnReznick. Lavine is a principal and Chief of Staff based in CohnReznick’s Bethesda, Md., office. She champions the execution and implementation of major people-centric strategies with a keen emphasis on leadership development; partner development and succession; and driving the firm’s culture of excellence. Lavine also helps to lead the firm’s women’s initiatives, WomenCAN and Executive Women’s Forum. Weinstein is the co-managing principal of CohnReznick’s Baltimore office and co-leader of the firm’s new markets tax credits practice. He is focused on transaction advisory and finance services for projects utilizing the New Markets Tax Credit, historic rehabilitation tax credit, investment tax credit, production tax credit and low-income housing tax credit. The Executive Board is responsible for the firm’s business and growth strategy along with the CEO and oversees the day-to-day operations of the Management Committee. Each member’s term is three years with provisions for reelection.